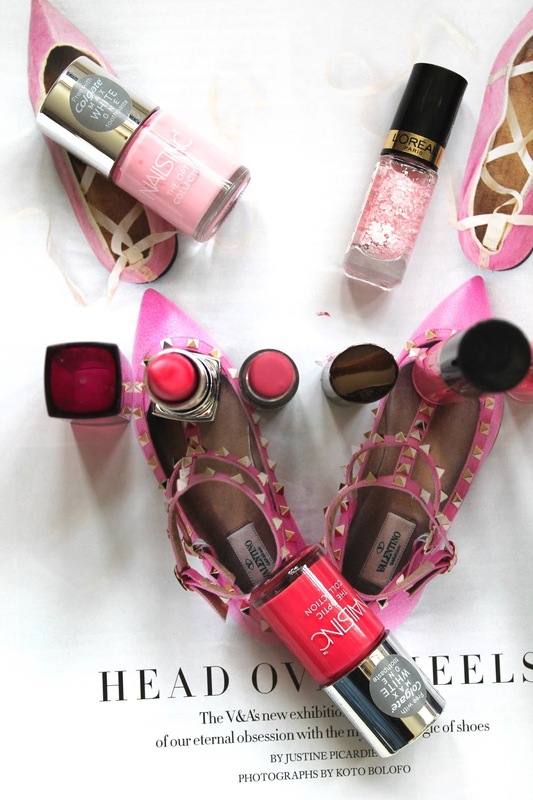 Stepping Into March: Lips, Eyes, Nails & Fragrance. So March is finally here, hopefully bringing with it some much needed warm weather. Or at least some sunshine, as this is England we're talking about. I'm super excited for this month, mainly because I have another week of work, (praise the lord) and of course this Sunday is Mother's Day. Now I love any excuse to have a good family celebration and this one will be no different. Because it's my mum's birthday on the Saturday, her and my dad are going away to London for a night which will give Sophie and I a chance to organise our little celebration. You can definitely expect a full post on all of that excitement soon! But Today I wanted to share with you all some of my favourite Spring / Summer makeup items. Expect a lot of pink! Firstly I wanted to mention this lovely No7 quad. I got this a couple of years back on a whim and I think the colours are so beautiful for this time of year. The mint green and the baby pink are so pretty and soft whilst the warm brown has an almost purple touch to it for perfect crease colour. I love experimenting with eye colours especially around this time of year, and I think adding just a touch of bright colour can look truly lovely! For lips, I'm sticking to some drugstore recommendations. From left to right we firstly have this gorgeous Maybelline lipstick in the shade 'summer pink'. The image doesn't do it justice as in reality it's super bright and shiny. This looks lovely if you have a tan (*runs to the fake tan products*) especially with a softer eye look. Next up is my beloved No7 lipstick in Classic Rose. I received this free as a GWP and to be honest was not expecting it to be as good as it is! It's matte without being drying, the colour literally stays in place for days and it's so wonderfully pigmented. I actually recently bought my sister this lippie and she adores it too! Then we have my Revlon lip glosses. Now I know not everyone is a lip gloss lover (sticky lips are a massive no go, am I right ladies?!) but sometime I just can't be bother with an actual lipstick and these add the perfect hint of colour and shine. You can't really tell from the image, but one of these is a pale, iridescent pink and the other is super bright. For nails I picked out three pinks. (Anyone surprised?! No me neither.) Unfortunately I'm pretty sure the L'oreal one has been discontinued so I'm really glad I bought it when I did. It's a blossom top coat which goes beautifully over top of any baby pink or silver nail. The other two I actually got free from work. They were gift with purchases to go with a Colgate toothpaste I believe but they are such lovely colours. I haven't worn the darker pink yet, but when I've got my summer tan on, it'll definitely making an appearance. And lastly of course I had to mention my Marc Jacobs' Daisy Dream. I'm obsessed with this one, possibly more so than the original. It's so light and floral and absolutely perfect to splash on in the summer time. Would highly recommend giving this one a sniff if you haven't already!